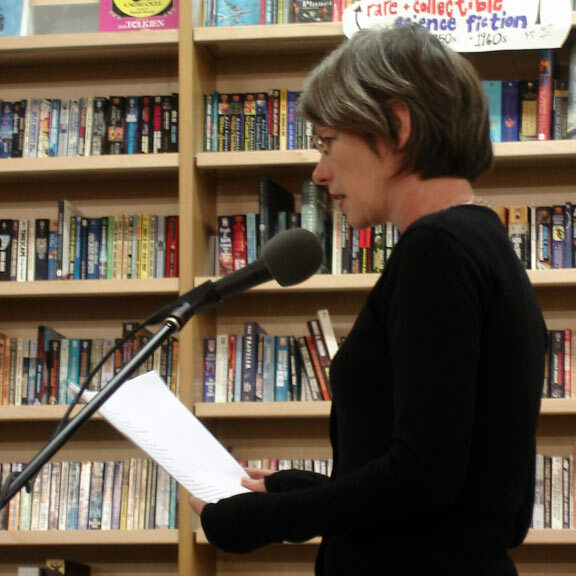 Lisa Robertson used to be a member of The Kootenay School of Writing in Vancouver, BC. She co-edited the poetry journal Raddle Moon with Susan Clark. She later lived in Britain, as a visiting fellow in Cambridge University, and in France. In 2006, she was a judge of the Griffin Poetry Prize. Currently she is artist-in-residence at California College of the Arts, in San Francisco. In 1997, Reality Street co-published Lisa Robertson's acclaimed Debbie: an Epic with New Star Books, Vancouver, Canada. Four years later we were happy to repeat the collaboration by co-publishing The Weather,which was written following Lisa's six-month Judith E Wilson visiting fellowship at the University of Cambridge. Influenced by the BBC shipping forecast, Wordsworth’s The Prelude, Constable, Cobbett and others, The Weather is an energising brew. Debbie: an Epic was this talented Canadian poet’s debut book in the UK. Debbie is playful, intelligent, audacious and wide-ranging in her lightly-worn learning: Girl Power meets Virgil meets Edith Sitwell. Published in association with New Star Books, Canada (as was Lisa's later bookThe Weather – see above).